Dawn Clement does it all at this year’s Earshot Jazz Festival, which begins Sunday, Oct. 8, and runs through Nov. 12. It was fun to watch Gal Gadot kick and punch her way through the fantasy frames of “Wonder Woman” this summer, but if you want to know what a real wonder woman does, check out Seattle pianist and vocalist Dawn Clement, artist in residence at this year’s Earshot Jazz Festival, which begins Sunday, Oct. 8, and runs through Nov. 12. Clement has won three Earshot Jazz “Golden Ear” awards; produced five albums; recorded with drummer Matt Wilson, saxophonist Jane Ira Bloom and trombonist Julian Priester; been hailed by JazzTimes magazine as “one of the most interesting of the new crop of jazz pianists”; performed at the Monterey Jazz Festival and the Kennedy Center; and had three kids and raised them while earning a master’s degree back East and maintaining a full round of teaching duties at Cornish College of the Arts. Born in 1978 in La Mesa, California, the oldest of four siblings, Clement grew up near Grants Pass, Oregon, and in San Antonio, Texas, before her family settled in Vancouver, Washington, in 1992. Growing up, Clement sang and played in church, an influence you can still hear in the quiet, hymnal quality of some of her songs. Oct. 8-Nov. 12, at various Seattle-area venues; individual concerts, free-$61, 10 percent discount for packages of five or more shows, 15 percent discount for packages of eight or more; all-festival pass $500-$550 (206-547-6763 or earshot.org/festival-tickets). “I like to play pretty stuff,” says Clement, “but I like to play ‘outside,’ too,” using a jazz term for avant-garde music. 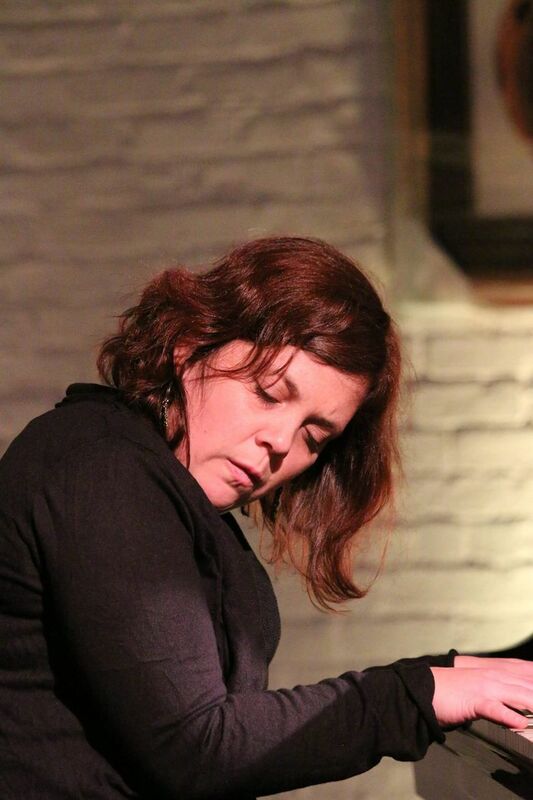 Though she started at 10 with traditional piano lessons (including some ragtime), jazz didn’t come into her life till her high-school band director recruited her for the stage band, which, given her great ear, led to jam sessions in Portland. Four years at Cornish followed. When her instructor, Priester (a former sideman for Duke Ellington and Herbie Hancock, among others), asked her to join his quartet, the album they made in 2002, “Deep End Dance,” established Clement as the leading Seattle keyboardist of her generation. Since then, she has continued to surprise and delight audiences with her versatility. On her crisp trio album with Wilson, “Break,” she plays lickety-split bebop. But on her self-produced 2013 album “Tempest Cobalt,” her gossamer-voiced electro-folk might put you in the mind of Feist or Björk. Clement adores Thelonious Monk, whose mischievous “Well, You Needn’t” was the first jazz tune she ever learned. At one of the many concerts she is headlining, Clement will celebrate Monk’s 100th birthday, solo at 7:30 p.m. Tuesday, Oct. 10, at the Seattle Art Museum. Clement will also offer three previews of her soon-to-be-released recording project, “Tandem,” a series of compelling duets. At the festival, she pairs with Priester (7:30 p.m. Tuesday, Oct. 17, Poncho Concert Hall, Cornish); pianist Marina Albero (7:30 p.m. Tuesday, Oct. 24, Chapel Performance Space); and vocalist Johnaye Kendrick, her Cornish colleague, as the opener for Lineup!, the dazzling quartet Clement coleads with alto saxophonist Mark Taylor (8 p.m. Saturday, Nov. 11, Poncho Concert Hall). Her haunting duets with Kendrick are a must-see. Clement also plays in Kendrick’s quartet (7 p.m. Sunday, Oct. 22, Bake’s Place, Bellevue) and, as she did with excellent success at this year’s Monterey Jazz Festival, with Wilson’s Honey and Salt (8 p.m. Saturday, Oct. 28, Seattle Art Museum), a wondrous project devoted to work of the great American folk poet Carl Sandburg. She is also featured in Wilson’s Big Happy Family & Friends at 7 and 9:30 p.m. Friday, Oct. 27, at the Royal Room. Finally, Clement and her quartet perform a program of her own music with Chris Symer, bass, and D’Vonne Lewis, drums, at 5:30 p.m. Thursday, Nov. 9, at the Seattle Art Museum. But hey, it’s all in a day’s work for Seattle’s jazz wonder woman. Paul de Barros: pdebarros@comcast.net; on Twitter @pdebarros. Paul de Barros is the former Seattle Times pop music coordinator and jazz critic.